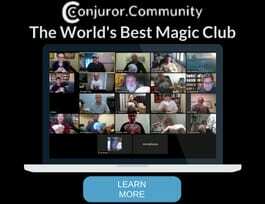 Join Conjuror Community and learn magic the easy way. Today’s magic shop won’t give you what you need to excel at magic. Gain access to our Amazement Plan Library. Each plan takes you step-by-step through specific tricks and routines so you can perform better and faster than ever before. You’ll gain access to our Live Events, Magical Marketer, and much more. It’s the future of the traditional magic shop. Create and improve your magic’s perpetual growth cycle. Our flagship training program will show you how to integrate technique, misdirection, presentation and the other key components of magic. The magic you want to learn will not only be possible, but easy to master. These are the lessons you can’t learn at a magic shop. 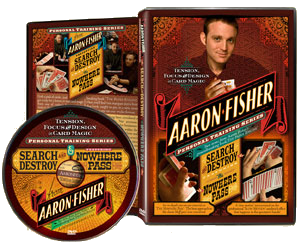 Pathways Training System allows you to skip all the easy mistakes and pitfalls that slow down card magicians. Without the right teacher, it can take years to master a move. Whether you’re just starting out, or you’re into ClassicPassDiagonalPalmShiftLand, Pathways will give you everything you need to perform beautiful, miraculous card magic. Fast. The Paper Engine teaches you how to construct and perform magic that is built on a solid foundation. 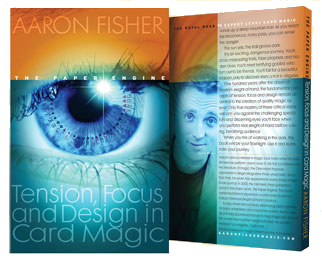 It introduces and explains the important concepts of Tension, Focus, and Design in card magic. 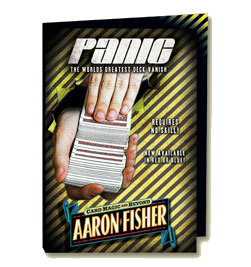 Many of the sleights that appear in this book are now the Gold Standard for modern sleight-of-hand artists. Click below to learn more about The Paper Engine and see why it sold out at every magic shop. After years off the market, the best Vanishing Deck Routine in history is back. It requires no sleight of hand. It can be learned in minutes. And we guarantee it will be one of the strongest effects in your repertoire. Don’t believe us? 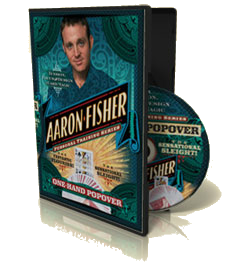 Watch Aaron’s demo and see for yourself! Aaron’s One Hand Popover is a very visual sleight that looks like real magic. A card appears out of thin air and lands sticking out of the centre of the deck. All performed with just one hand… obviously. It’s the type of sleight one might’ve learned in the back room of a magic shop. You can get it instantly with all of Aaron’s favorite applications. Watch the demo to see what all the fuss is about! 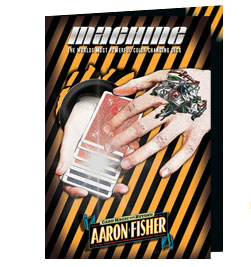 Machine is the strongest color changing deck effect you’ll ever see. Aaron started with a classic self-working effect by Dai Vernon. Then, he combined it with a stunning visual transformation. The powerful combo led to Machine. It is very easy to learn and audiences love it. 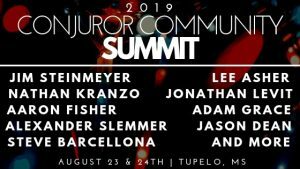 Click below to check it out! 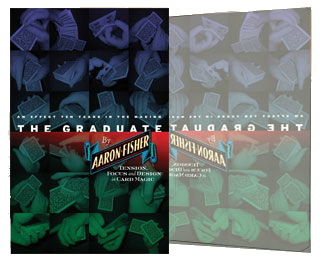 The Graduate is a unique approach to a classic Ambitious Card Plot. The one where your card magically appears on top of the deck anywhere from one to one hundred times. 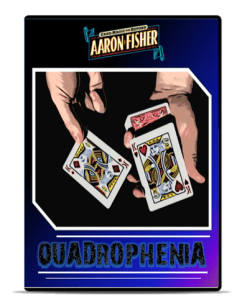 Aaron has slowed the effect down so that the audience can see their card slowly rising through the pack. The card finishes on top in a killer ending that audiences love. 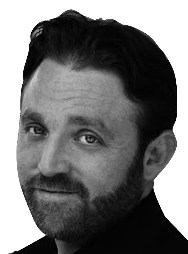 Click below to see it happen! 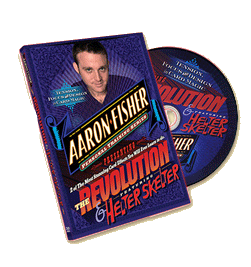 Claim your free “trick of the week”… just for visiting Aaron Fisher Magic! Enter your email and get instant access!